In the summer of 2001 a young man named Yaroslav N. applied to join our Sretensky Monastery. He was descended from a family of Russified Germans. He had been born and bred in the Altai Mountains, and had immigrated with his parents to Germany. There he had received German citizenship. Thus, to our surprise, he had two passports: a Russian one and a German one. There was more than a month left before the entrance exams, and the young man asked whether during that time he could live in the monastery. I asked him what he knew how to do. It turned out that he had studied accounting in Germany. “So you know how to deal with accounting programs?” I was very happy to hear this. That was exactly what we needed at the time. We gave Yaroslav a workplace in the accounting department, and he began to work for us so well that we could not have been more contented. I should mention that that year we had decided to allocate all the money earned by the monastery from the books it publishes to buying agricultural equipment. We have a skete in Ryazan Province where we go for monastic retreat. All the farms or collective farms in the surrounding area had gone to rack and ruin over the past decade or were in such a state of decay that it was truly painful to look at the dying villages around us. One winter evening, farmers from the neighboring village had come to our skete. These people had been driven to the furthest depths of despair. They told us that they hadn’t been paid one kopeck of their already miserable salary for the past three years. There was no equipment left on the farm except for a ramshackle and half-broken tractor and an old Soviet-era Jeep-like car belonging to the chairman. The collective farms’ cattle had not been fed and for lack of fodder would have to be sold to a slaughterhouse within a week for almost nothing at all. In certain families the children were being fed nothing more than steamed animal fodder. We shuddered to hear all of this, and we couldn’t refuse our neighbors when they asked us to take over their completely collapsed farms and help them. To our complete horror, they begged us, “Please take us on—even as serfs!” It was quite obvious that they were utterly desperate and had absolutely no one else to whom they could turn. Well, we took them on, but it was easier said than done. As we acquainted ourselves with the problems of these farms, we understood that we would have to rebuild everything from zero, starting entirely from scratch. Even after we paid them their salary and purchased fodder for the cattle, it was not enough: in any case huge sums of money would be required to buy the minimal agricultural equipment needed to get the farms running again—$200,000. We decided to save up this money our­selves, by putting off repairs to the monastery and also by postponing various of our publishing projects. We did not deposit our savings in the bank. We had all too vivid a memory of the financial crisis and default of 1998. 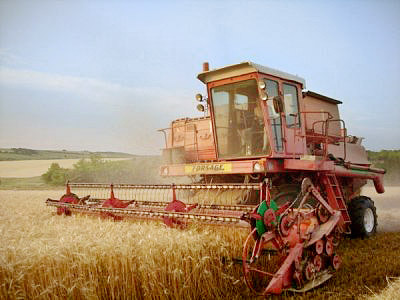 Our parishioners, some of whom were quite savvy in matters of finance, suggested that we save our money for the purchase of agricultural machinery not in rubles, but in dollars. And they suggested that we keep them not in a bank account but in a safe hiding place. The Father Treasurer and I found such a place. We drilled a niche in one of the rooms of our bookkeeping department, installed an excellent safe in the niche, and then hid the key to the safe in the bottom drawer of the desk under a pile of old copies of the Journal of the Moscow Patriarchate. Then we hid the key to that drawer under the floorboard! We were utterly delighted with ourselves and were certain that now the money we had saved would be safer than if it had been deposited in Sberbank (the Russian state savings bank). What I came back to the monastery, things were exactly as he had said: there was no money in the safe, and Yaroslav was gone. However, both keys were neatly back in the places where they were before, in the bottom drawer of the desk and under the floorboards. However devastating this blow was, we still had to do something. I telephoned our parishioner Vladimir Vasilyevich Ustinov, who at the time was the Chief Prosecutor of the Russian Federation. Vladimir Vasilyevich came to the monastery and brought several detectives with him. The detec­tives did their thing—interrogations, dusting for fingerprints, inspection of the scene of the crime—and meanwhile the Father Treasurer and I wandered dispiritedly about the monastery waiting for their results. “Why is that?” I whispered. “But he’s a criminal!” I said, amazed at this. “Probably at home in Germany. After all, he has a German passport. Therefore he calmly sailed through the green corridor in customs (for “nothing to declare”) with all your money. Nobody’s going to thor­oughly inspect a citizen of Germany. You understand this; you’ve flown over­seas. Now of course we will start a criminal case, and we will file a report with Interpol. But the best thing you can do, Father, is not to waste time and nerves. Forget about this money altogether and start saving up once again for your agricultural amusements,” the Chief Prosecutor concluded. Those were my words, but I was shaking inside. The fact is that there was no source of hope but prayer. I told our brotherhood everything that had happened, and together we began to pray. First and foremost we prayed to the icon in whose honor our monastery has been founded, the icon of the Holy Mother of God of Vladimir. Two weeks passed. Front-page headlines were already screaming with scandalous stories of how a million dollars had been stolen from the Abbot of the Sretensky Monastery. Then suddenly one truly bright day Vladimir Ustinov drove back to our monastery. He looked not only surprised but actually shocked. “Really? They found him?” It was so surprising that at first I didn’t even believe it. Ustinov told me that Yaroslav had driven from Russia through the Ukraine and Poland and was finally passing into Germany. He had passed through German customs at the border town of Frankfurt on the Oder numerous times, and because of his German passport had never had any problems. Indeed, he would never have had any problems this time, had his crossing not been on September 14, 2001—in short, on the third day after the infamous terrorist attacks in New York and Washington. Seeking terrorists, the alarmed German border guards began inspecting everyone from head to toe, their own citizens as well as foreigners. And so it happened that they found on Yaroslav’s person $180,000 that had not been declared and whose honest origin he of course could not explain. These funds had been confiscated from him, had been duly registered, and had been sent for safekeeping to the prosecutor of Frankfurt on the Oder. “I don’t want to upset you, Father, but the thing is . . . they won’t return the money to you,” Ustinov sighed. “Well, then, we will pray!” I repeated. Nearly a year elapsed. This happened to be a period when we were restoring our complex but extremely important relationship with the Russian Orthodox Church Abroad. And it happened that Archbishop Mark of Berlin and Great Britain invited me to Munich to prepare a summit meeting between Patriarch Alexiy and Metropolitan Laurus, the Chief Hierarch of the Russian Orthodox Church Abroad. His Holiness the Patriarch blessed my voyage and I flew off to Bavaria. I was met by Archbishop Mark’s closest helper, Father Nikolai Artemov, who came to greet me at the airport and drove me back to the residence of the archbishop, the tiny Monastery of St. Job of Pochaev on the outskirts of Munich. It turns out there are over eighty million inhabitants of Germany. But the very first person I saw when I got out of the car in that little monastery was—Yaroslav N.! I lunged for him and grabbed him. I must admit that my memory of what happened next is a bit foggy. Yaroslav was so surprised to see me that he didn’t even resist. Before the very eyes of Father Nikolai, the bewildered monks, and Archbishop Mark himself, I dragged Yaroslav into the monastery, shoved him into some room, and locked the door behind me. “What are you doing, Father Tikhon?” Archbishop Mark reproached me, beside himself with astonishment. A crowd of monks gathered around us. Finally it occurred to me to put myself in the place of the astonished Archbishop Mark. Some priest he had never met before arrives from Russia, the former Soviet Union, and suddenly grabs a citizen of Germany and locks him up in someone else’s monastery! So I told the archbishop and his monks the story of what happened with Yaroslav. But I could see that they couldn’t believe me. Then I asked for permission to make an overseas telephone call and dialed the Chief Prosecutor in Moscow. “Vladimir Vasilyevich! I’ve caught him!” I yelled through the telephone. “Caught whom?” Ustinov’s voice sounded discouraged. Soon enough the Bavarian representative of Interpol drove up to the monastery. However, instead of arresting Yaroslav, he began to interrogate me. Our conversation went as follows. “How did you find this man? “Yeah, right!” The Bavarian looked at me as if I were crazy. The effect of these events that had been so utterly unpredictable, happening one after another, also could not help but form a stunning impression on Yaroslav. First, the money he stole had suddenly been confiscated—and not just anywhere, but in Germany, when it had seemed to him that all dangers were in the past, and he had already been celebrating in his mind his spending of this money, feeling his complete triumph. Second, this had happened at the customs point at Frankfurt on the Oder, a place that Yaroslav had selected on purpose because he had crossed the border there many times before without incident. And he had been caught by me in the monastery in Munich, where he had already almost managed to get himself a job . . . as a bookkeeper! And finally, his confinement was not just anywhere, but once more in a monastic cell—very much like the cell in Moscow from which he had so improperly fled a year ago. What’s more, I believe that all these coincidences began to weigh on the conscience of the young man for his sad and ill-considered deed in our monastery. After all, he knew all too well what the purpose of this money was and just how difficult the saving of it had been, and I have no doubt that in fact deep down he felt pain and shame no matter how he tried to justify himself in his crime. But most important of all, he felt the action in the world not just of the Church, but of the mysterious and benevolent Providence of the Lord. And this truly amazed Yaroslav. And he began to think deeply. In the end he confessed to everything and took responsibility. He was held in pretrial confinement, and then after a while there was a trial. Yaroslav was sentenced to four years in jail for his theft, and he served the full term of his sentence in Bavaria. The monks of the novices of the Monastery of St. Job of Pochaev in Munich visited him all the time and helped him as best they could. Meanwhile the Chief Prosecutor’s office and the Ministry of Justice of Russia, in accordance with protocol, worked out an arrangement with the German Justice Ministry. And finally, by a decision of the German court, the $180,000 that the German prosecutor of Frankfurt on the Oder had been keeping safe was transferred to representatives of our Justice Ministry, which traveled to Frankfurt especially for the occasion. Early in the morning of July 6, 2003, these representatives brought a box with this money to our Sretensky Monastery and gave it to our Father Treasurer, who signed a receipt for it. It was a day of our patronal feast, the celebration of the Icon of the Vladimir Mother of God—that same icon before which we had prayed to the Virgin Mary for a favorable ending to the misfortunes that had befallen us. I did not need to think about the theme of the sermon for our celebratory Liturgy. I just told our parishioners the story and jubilantly showed the entire church the box that had just been brought to us that morning. And soon we bought the agricultural machinery we needed.